People take a selfie in Clifton, Bristol, where autumnal weather takes effect and trees continue to drop their leaves. Hotel chain ibis has launched a new service that offers guests “social media sitters” to post holiday photos for them. The service has been introduced at 16 hotels in Geneva and Zurich in Switzerland, and offers guests the chance to hire a local Instagram celebrity to take and upload photos for on their behalf. Costing around £70, the hotel chain says the aim of the service is to reduce the modern pressure of keeping social media channels updated during a break, instead enabling those who use it to live in the moment. 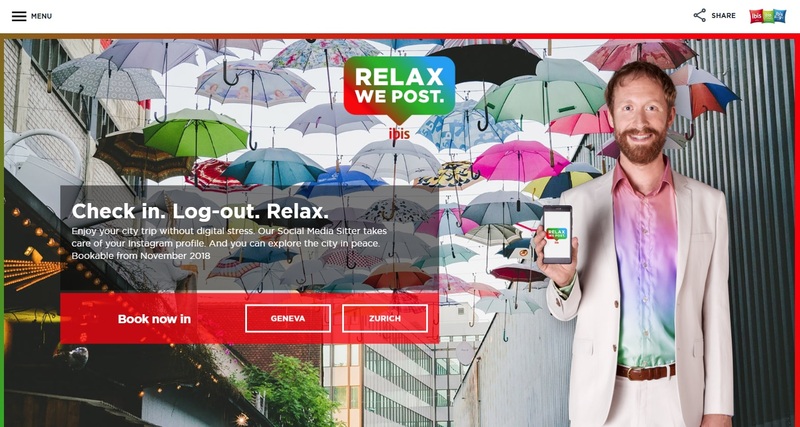 Called “Relax, We Post”, the service involves guests granting a sitter access to their Instagram account for the duration of their trip, with all posts marked with the hashtag #postedbysocialmediasitter. Philippe Alanou, AccorHotels senior vice president of operations for central Europe, which owns ibis, said: “This new service from ibis Switzerland is unique. He said it was part of plans to offer hotel guests “an unforgettable experience”. The service will allow users to curate the types of things they would like to see in posts, as well as take advantage of the local knowledge of the sitters. A range of sitters are currently advertised on the Relax, We Post website, including former Germany’s Next Top Model contestant Sara Leutenegger, who has more than 100,000 followers on Instagram.